This lightweight foam car sponge handle keeps your hands clean and dry as it attaches to a microfiber sponge pad with the two Velcro strips on its bottom. 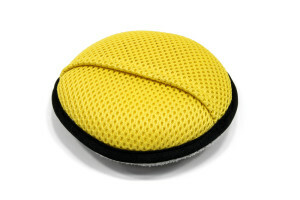 The ergonomic shape of a car wash sponge with a handle easily and comfortably fits in any size hand. Add this handle to car wash sponges for convenient cleaning.